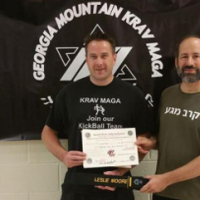 Georgia Mountain Krav Maga, LLC (GMKM) is proud to be a member of Israeli Krav International and to have direct access to its founder, CEO and head instructor, Moshe Katz. GMKM has ongoing classes at East Hall Community Center (EHCC) – 3911 P. Davidson Road in Gainesville, Georgia 30507 – (770) 561-0812. Try out a class for FREE! Click here for details. 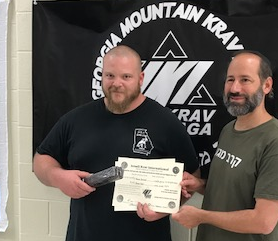 For additional info call Hal Herndon, chief instructor (770) 561-0812 or email at hh@GeorgiaMountainKravMaga.com or hh@GMKM.net Georgia Mountain Krav Maga, L.L.C. is a Limited Liability Company under the laws of the State of Georgia. 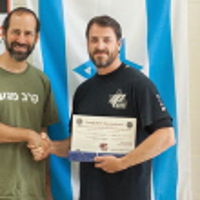 Hal Herndon was promoted to Level 3 Instructor Certification by Moshe Katz, founder and chief instructor of Israeli Krav International Promoted to 3rd Dan in IKI Krav Maga 10 September 2016 by Moshe Katz, founder and chief instructor of Israeli Krav International 5th Dan in Hapkido; USKMAF Certificate No. 5029 issued by Grand Master J.R. West, 9th Dan Korean Kido Association (KidoHwe) 5th Dan Certificate No. 2287 Co-Founder and Chief Instructor of Georgia Mountain Hapkido, an exclusive club for advanced black belt and real world self defense training. Bill Nusbaum was promoted to Level 2 IKI instructor and to IKI Brown Belt June 15, 2017 by Moshe Katz at Tour and Train. Bill is a veteran of the United States Navy and currently works for GA Tech in the GA Manufacturing Extension Program as a process improvement consultant. His background includes wresting and TKD. 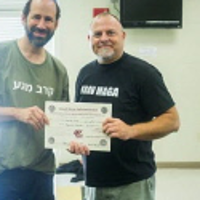 He was promoted to IKI Level 1 Instructor on March 2016 by Moshe Katz. 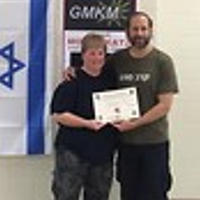 Leslie Moore was certified as IKI instructor by Moshe Katz in January 2018. Leslie was promoted to 1st Degree Black Belt at our Winter seminar 2017 by Moshe Katz. 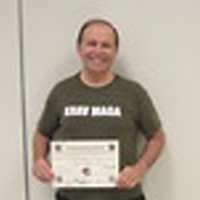 Leslie also received his Godan (5th Degree Black Belt) in Bujinkan Budo Taijutsu in Japan back on October 2010. He also has training in Thai Boxing, Tae Kwon Do, American Freestyle Karate, and Chan Family Choy Lee Fut Kung Fu. 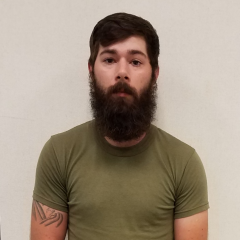 Along with his martial experiences, Leslie has also worked in corrections where he was part of the Special Operations Response Team (S.O.R.T) and works part time in private security. 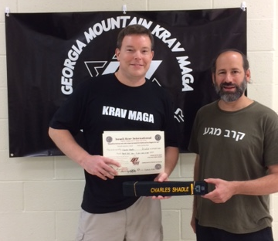 Charles Shadle was promoted to 1st Degree Black Belt by Moshe Katz in September 2017. Charles is an occupational therapist and university professor. He has a background in karate and kickboxing. Bryon Bullard was promoted to IKI Krav Brown Belt in September 2017. He has many years of wrestling and grappling experience, has been a wrestling coach and is very involved in real world survival and defense with membership in several related organizations. Austin Sweat was one of the first members of GMKM and trained hard with us before serving a 4 year hitch in the USMC. On each of his leaves he came back and trained with us. He has a wrestling background and various other ‘fighting’ experiences as well as his MCMAP training in the Marine Corps. KRAV MAGA is designed strictly for self defense and personal survival. The term, in Hebrew, is typically translated to mean “close quarter combat” or “fighting up close and personal”. The training is demanding but fun and easy to learn, easy to use. 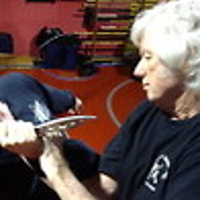 KRAV MAGA is unarmed combat against guns, knives, sticks and unarmed attackers. The style is simple, extremely effective, very user friendly and is designed specifically to meet the needs of modern self defense.